The world-famous Winchester Mystery House in San Jose doesn't look at all scary in the bright sunshine. But some Australian filmmakers are turning Sarah Winchester's eccentric story into a psychological thriller for the big screen. CBS Films announced that production on "Winchester" began Wednesday in Melbourne, Australia. 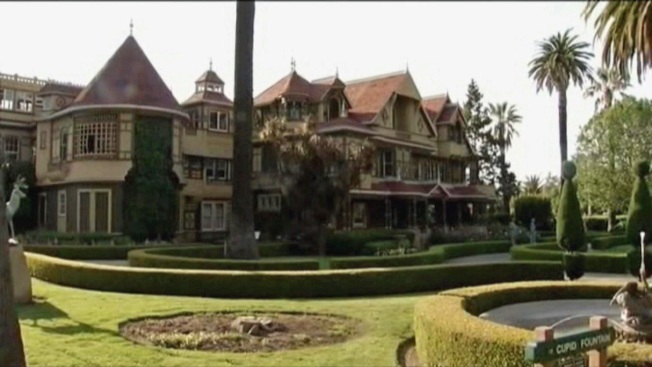 The movie crew will begin shooting scenes at the mansion in San Jose in May, the production company said. The plot of "Winchester" follows a psychologist who studies firearm heiress Sarah Winchester and concludes her obsession with constructing her mansion wasn't so crazy after all. Winchester was convinced that she was haunted by the souls killed at the hands of the Winchester rifle. After the sudden deaths of her husband and child, she threw herself 24/7 into the construction of the enormous mansion designed to keep the evil spirits at bay, according to the Winchester Mystery House website. The title character is being portrayed by Academy Award-winning actress Helen Mirren. The film is written and directed by Michael Spierig and Peter Spierig.